The sample to the above was Bur oak. 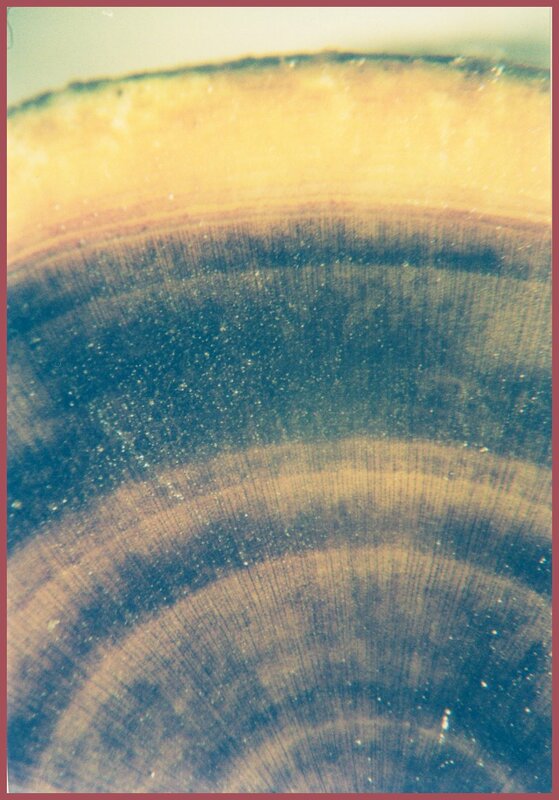 This cross section was stained with iodine in potassium iodide solution, a 2% mixture. This stain, stains starch grains purple to black. Trees only store starch in parenchyma cells. 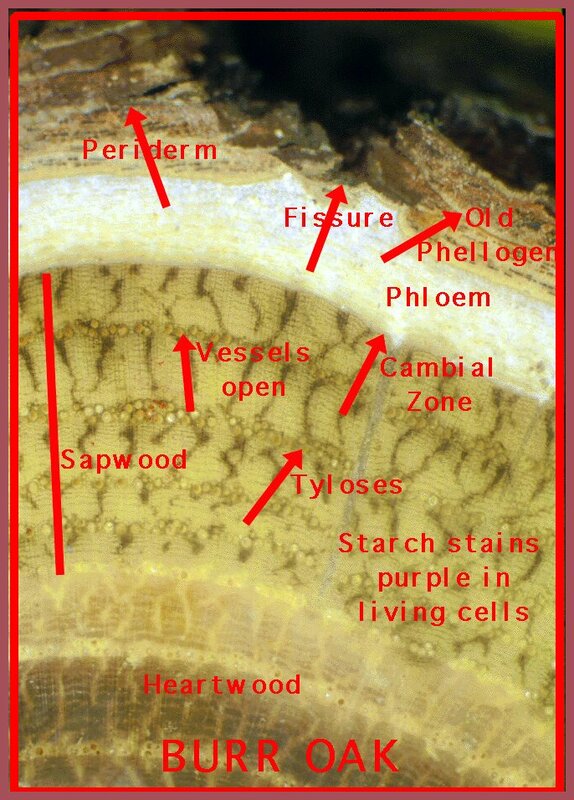 Here you can see where in the sapwood the parenchyma cells are. 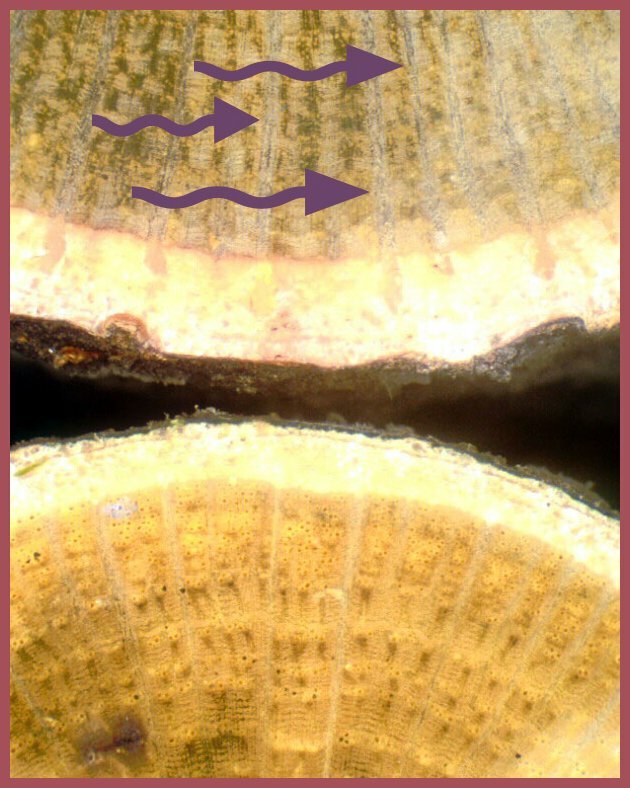 In this sample the cambium zone and the inner bark both contain parenchyma cells but they are not storing starch. Here on this young sample you can see the bands or like spokes in a wheel - the radial parenchyma. Also called wood rays. 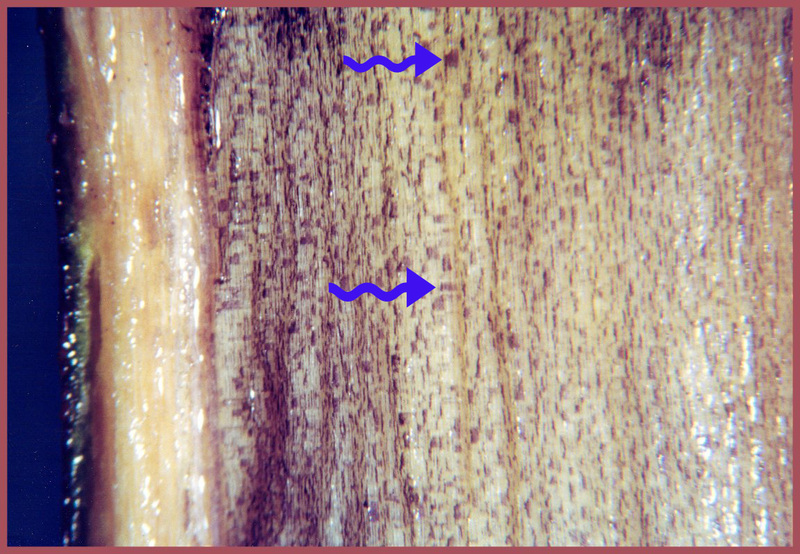 In between the wood rays where you see purple are the axial parenchyma cells. They are held in place by the apoplast. For info on three views click here. Images below source Keslick And Son. Note the large amount of starch stored in the wood. This is a young stem and you can see the green cortex and that the phloem (inner bark) is not storing. 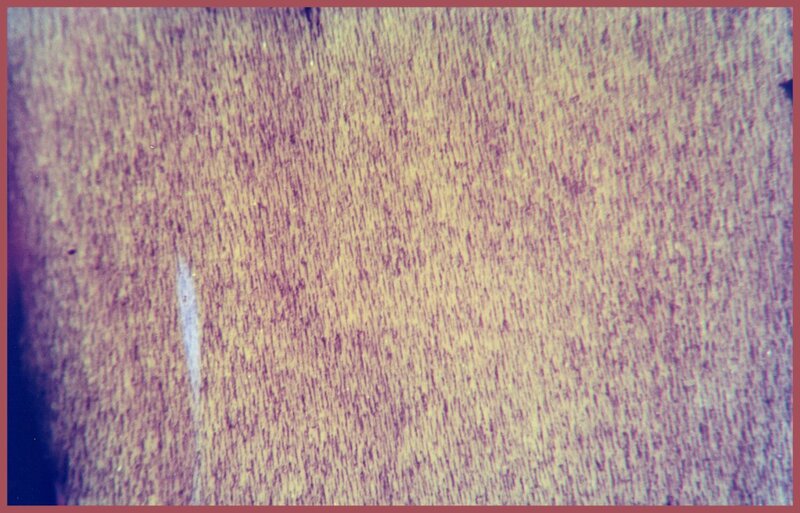 Above we see the sheets (dark purple) of radial parenchyma cells. In between the sheets we see the apoplast. To the left we see the inner bark. Then we can see the green cortex. A tangential section is a section with a straight cut at a tangent to the growth increments. Here you see many bundles of radial parenchyma.